Some of them use a single wire connecting two earbuds and a controller to operate between tracks and taking calls whereas some are completely wireless such as Airpods. Before Apple's Airpods number of startups used crowd-funding to bring wireless products however tech giants are trying to capture the market with yet another level of quality and whole new features. Sony, Samsung, Apple are among them. Below are some of the upcoming new wireless earbuds with the latest technology which will surely alter your decision to buy one. A bold new design for Xperia Ear has a promising look on its features including the best Sony sound quality, virtual assistance support, and support for hearing surroundings without removing them from ears. No matter how busy you are, you won't need to remove the Xperia Ear earphones to hear anything around you except for charging it. 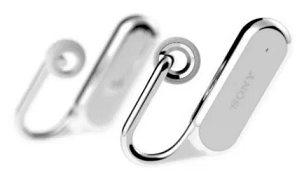 Called as "Open-style concept" Sonys' new Xperia Ear are well designed to keep on a full day. 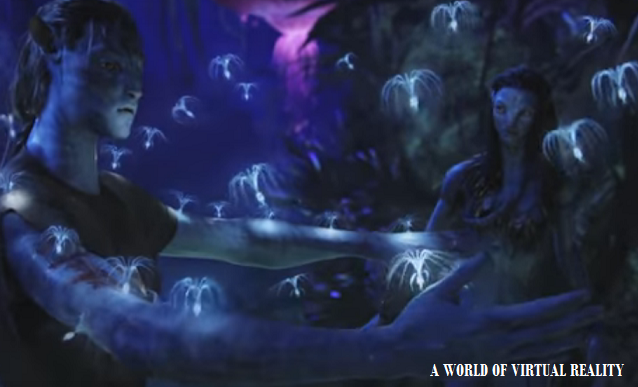 Designed by Sony's Future Lab Program incubator these are "Hands-free, Eyes-free, and Ears-free wireless headphones". You might wonder to know about its concept behind the latest tech. These headphones feature two highly powerful spatial acoustic conductors and driver units which work together to take sounds directly to the ear canal. Also allowing you to hear what is happening around you without taking them off. A simple volume clicker on the cord makes it easier for taking calls or controlling music. Its flexible neck strap rests on the back of your neck. It has a tiny charging indicator which shows its battery levels. It also has a lightning port for charging which is its superb feature. With pretty promising battery life which lasts almost up to 8 hours on a single fast charge, it is a strong contender. The Beats Solo 3 Wireless are also perfect but cost a hefty $300. BeatsX has an excellent heavy bass coming from its tiny drivers. 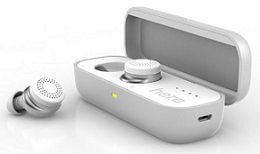 The construction of earbuds certainly helps to block off surrounding noise and making audio quality much improved. With the latest W1 chip, smart build and best sound quality BeatsX becomes an easy choice. Apple Airpods Vs BeatsX, Which is better? Apple Airpods are facing tough competition after a release of the BeatsX earphone, by Dr. Dre last week. Looking at an audio quality, both earbuds use same W1 wireless chip technology which Apple uses. So pairing is fast. Airpods can only be used with iPhone 7 and 7 Plus where users can also see the battery status of earbuds on the device. Many online reviews suggest that wireless audio quality is more perfect in Airpods than others. Airpods are completely wireless and sit on ears with ergonomically balanced design whereas BeatsX has dangling cables which make it no completely wireless. While there is only a $10 price difference in both the earbuds, Airpods are highly advised for Apple device users. Again, BeatsX is versatile in terms of using on different devices and also the best alternative to Apple Airpods. There are some controversies saying that these earbuds can cause sound delays in left and right pair but technically speaking the audio quality is equally good as in Bluetooth wireless earbuds. Skybuds are available in charcoal, silver and pearl finishes and they offer up to four hours of listening between charges. An easily storable container called Skydock is about a size of a fat Zippo cigarette lighter and fits well in pockets. When not in use they rest in a Skydock which keeps it charging. With the Skybud app, one can see its battery status as well. Its a nearly perfect piece of active noise-cancelling earphones. 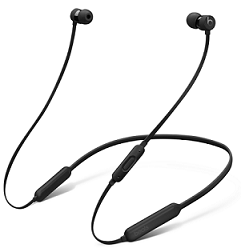 Bose firstly brought us wireless earphones with noise canceling with QuietComfort 20. But until then it was quite difficult to bring same in tiny earbuds. 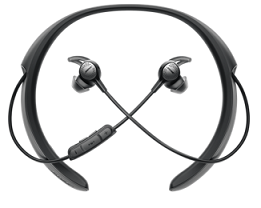 QC30s has everything packed in semi-flexible neckband. Its only when you need another piece of a cable while its charging through microUSB. This time its active noise canceling is more precise, meaning you can literally control how much of outside world you want to let in your ears, which was never before possible in any of previous models. A Bose Connect App is smart enough to do this. Headset also comes with an inline tracking and volume controlling buttons as well as an easy access for taking calls or AI assistant. Bose also uses DSP - digital signal processing and a variable EQ to sculpt the sound of the music. with superior bass adjustments on various volumes levels, headphones work pretty well on all types of music genres. 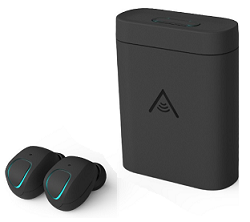 These are some of the advanced built wireless earbuds with a potential to change the way we listen. These earbuds are paired with App and offer a form of augmented listening layered with ambient sound with things around you, creating a merged audio experience. with this amazing future-tech built in such a tiny size, there comes a sacrifice on its battery life. Still Here One is a wireless hearing masterpiece. When you launch its app, all comes is its finer filter setting including those for Airplane, City, Crowd, Noise Mask, Office, and Restaurant. Whichever environment you are sitting at, just select the mode and rest it will do for you. So as you can enjoy your music while listening to the conversation happening around and also earphones will block disturbance around you may it be restaurant noise or a city crowd around.